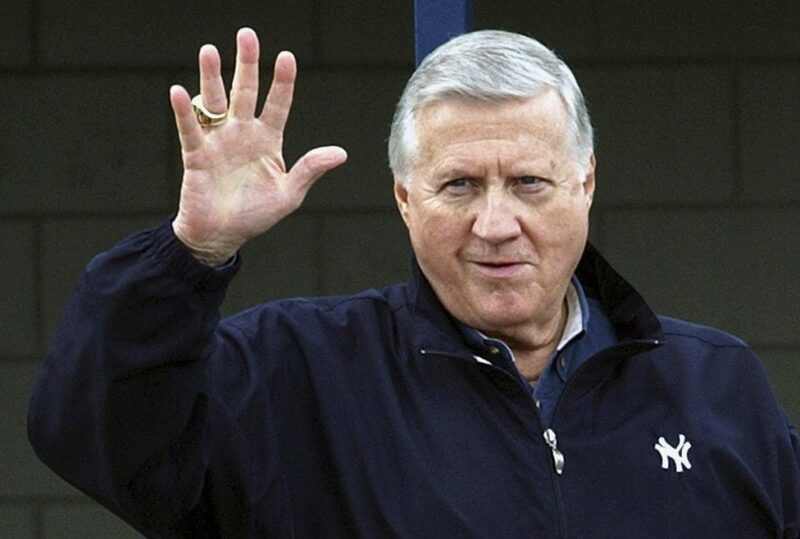 The late Yankees owner is one of 10 men on the Today's Game Era ballot. AWARDS: Shohei Ohtani is a finalist for the AL Rookie of the Year award along with two New York Yankees infielders. In the NL, Atlanta outfielder Ronald Acuna Jr., Dodgers pitcher Walker Buehler and Washington outfielder Juan Soto are the finalists for the Rookie of the Year. Tampa Bay’s Kevin Cash and Oakland’s Bob Melvin are the other AL Manager of the Year finalists. In the NL, Colorado’s Bud Black, Milwaukee’s Craig Counsell and Atlanta’s Brian Snitker are the finalists. The AL Cy Young finalists are Corey Kluber of Cleveland, Blake Snell of Tampa Bay and Justin Verlander of Houston. The NL Cy Young finalists are Jacob deGrom of the Mets, Aaron Nola of Philadelphia and Max Scherzer of Washington. NATIONALS: Trevor Rosenthal’s comeback from his 2017 Tommy John surgery went so well, Washington’s newest reliever considered trying to get back to the majors last season.